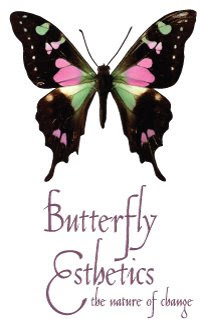 Butterfly Esthetics: A fresh new start! I'm finally up and able to communicate to whole wide world! These days are filled with anticipation for many reasons. We are all keeping an eye on the state of affairs in our country, enjoying spring, hitting the farmers markets and planning our summer get aways! I've been up to a lot myself as I continue to help family and friends create a healthy image for themselves. My work is centered around healthy aging and what that means. In short health = beauty, I have coined that term to be clear about my position in the field of skin care. Beauty is not what the media wants to feed us, beauty is what we feed ourselves on all levels of life. What is it that we feed ourselves? I hope we feed ourselves clean healthy food, pure clean water, a deep sense of spirituality, healthy relationships with others and mostly ourselves. My goal is to provide information and support for my clients to come to an understanding of what beauty is to them. I never want to project where someone wants to take their skin, which means their health. I like to think that I provide information so my clients can make informed choices thus creating a skin care management program to acheive the results they desire! My product is a pure botanical line using only the highest professional strength formulas designed for RESULTS! I specialize in sun damage, premature aging, ALL levels of ACNE and corrective peels to bring the skin back to health! I like to focus on diet and supplements as well because what happens on the inside of our bodies reflects on the appearance of our skin. The skin is alive if you give what it needs it will change, you don't need to force all you need to do is gently ask and it will change!